The Fourth of July is one of my favorite days of the year. I love this country. 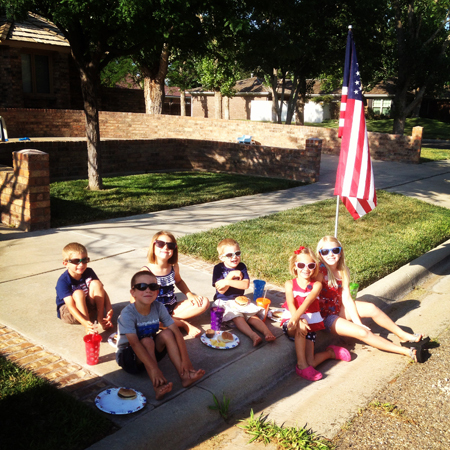 In honor of our nation’s birthday, we tried to be as American as possible. 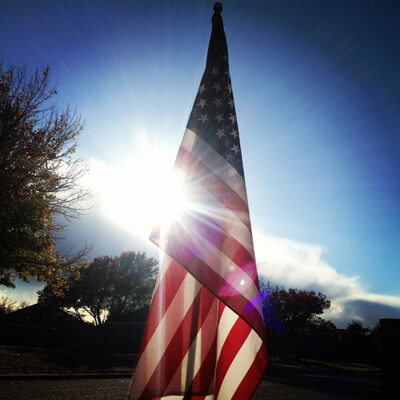 I put out our flag first thing in the morning. It was raining a bit. I briefly thought about keeping the flag inside until it stopped raining, but thought better of it. That would’ve probably made the ghost of Francis Scott Key cry. Sorry for even considering it, Francis Scott Key. So, up it went. 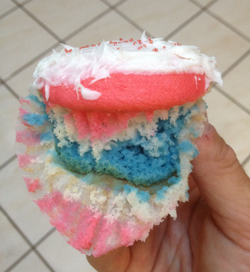 My wife and oldest daughter made some patriotic eggs (dyed blue), parfaits, and cupcakes. We headed out to the parade in Canyon, TX. 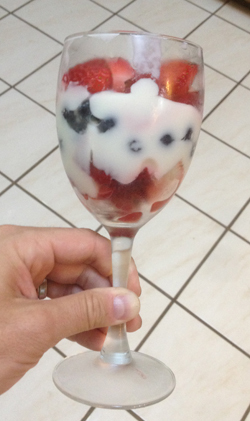 I grilled burgers and cranked up the Pandora “Lee Greenwood – God Bless the USA” station. ‘Merica. 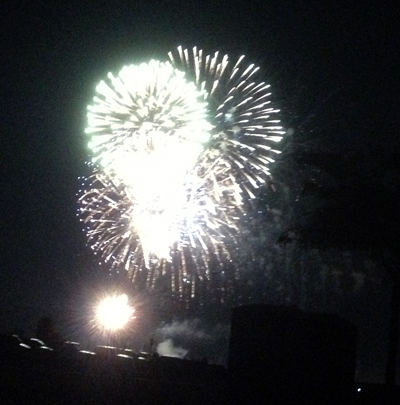 Later on, we headed out to the park to watch the Globe News fireworks show. 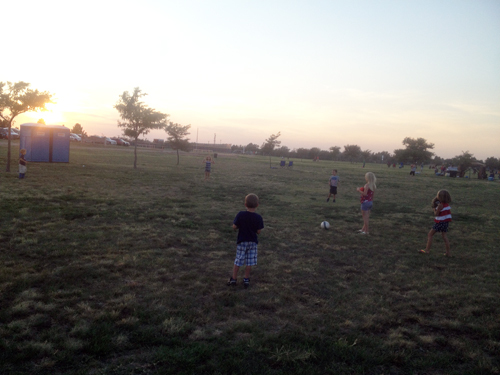 We payed soccer and catch for a couple hours before it started. 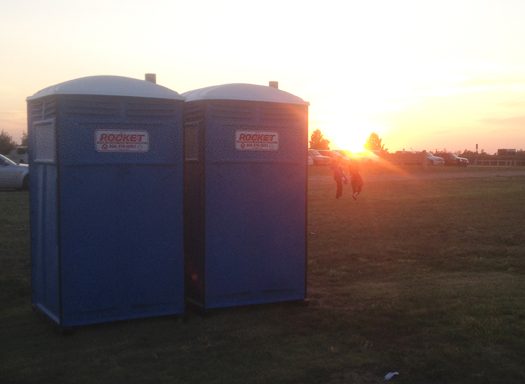 At sunset, “…and the rockets’ red glare…” took on a whole new meaning. Again, my apologies to Francis Scott Key. ‘Merica. 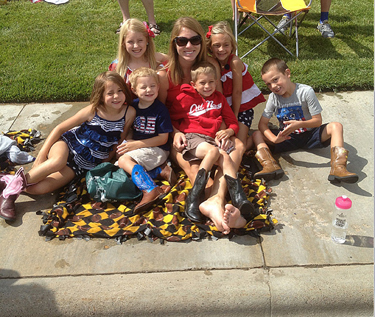 Last year, we found ourselves in San Diego for the 4th. 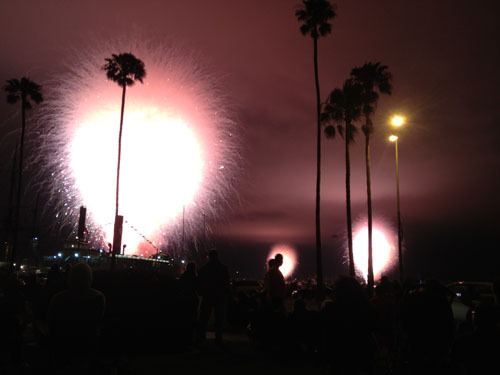 We waited for hours for the fireworks show only to have all the fireworks go off at once in a massive blaze of glory. 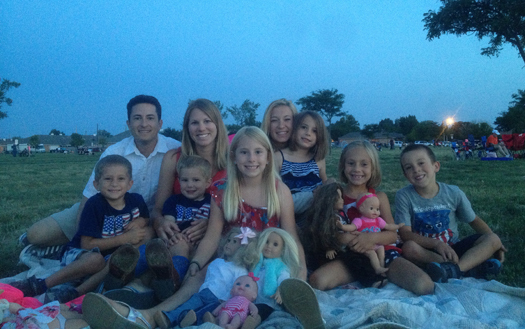 This year, we sat at the park in Amarillo hoping to see more than one giant firework. Success!